If you won’t be eating these yummy treats right away, start by brushing the apples slices with lemon juice to keep them from turning brown. Spread one side of half of the apple slices with peanut or almond butter, after that sprinkle with delicious chocolate chips and granola. Top with other apple slices, pressing down softly to make the sandwiches. Transfer to napkins or plates and serve. 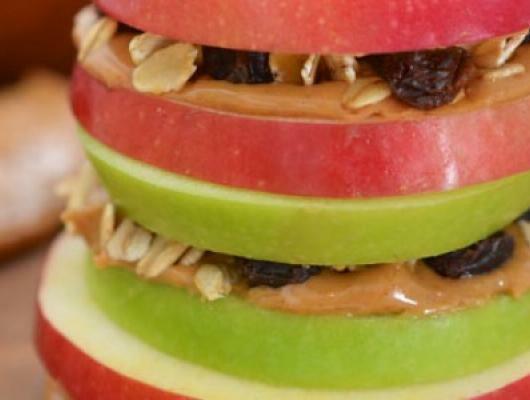 In case you have appreciated these apple sandwiches around, but have no idea steps to make them…this is for you!